Learning SEO in audio-visual ways is fun and easy. You can learn Search Engine Optimization effectively with these SEO video tutorials and training courses. Though the training courses are made for beginners, they have also advanced lessons helpful to experts. Check the SEO tutorials listed below. 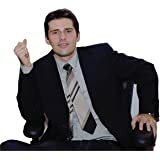 If you want to know more details about them and buy one for you, click on the title of your choice. Like in a classroom training environment, learn SEO and HTML 5 at your pace. 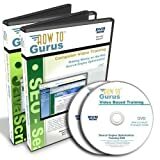 These training DVDs includes the demonstrations of SEO tools and processes you need to apply on your website. A fun and easy way to learn SEO and HTML 5! If you really want to build a professional looking and revenue generating website, you need to learn very special lessons before you do it. In this video tutorials, you’ll learn step-by-step lessons and techniques on different topics such as how to choose and register a domain, how to find a web hosting service provider, how to make presence of your new website on the web, how to achieve top rankings on search engines, how to start email marketing etc. In this training DVDs, you’ll find real world examples and practices in topics like basic site layout, graphics in Fireworks and Photoshop, animation in Flash, Dreamweaver tricks, SEO techniques, Google Webmaster Tools, Google Analytics, Bing Webmaster Tools, SEO for WordPress and more. This online SEO video course teaches you the solid SEO lessons to get ranks on Google and other search engines without any previous knowledge. You’ll learn about search engines, HTML, CSS, finding keywords, creating content, links, SEO tools and more. Keyword research determines the marketing success or failure of an online business. All you need to do is finding the right keywords and optimizing them to get the targeted buyers of your products. In this video course, you’ll learn 14 easy-to-follow steps in just two hours about finding and deploying keywords and getting results for your website traffic goals. 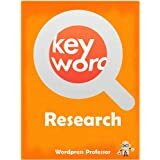 You’ll learn to find the right keywords of your market, to source them using online tools, to find short tail keywords, long tail keywords, synonyms etc. Learn new skills with this SEO training course. The DVD can be played on your Windows computer for 8 hours with 116 video lessons in high resolution videos. Learn all about SEO with these video tutorials. Do it yourself and master the subject in your own pace. Each video lesson has fully guided narration. With this powerful educational tool, you’ll learn all about SEO basics, working on your website, keyword research and placement, outbound and inbound linking, Google Webmaster Tools, Bing Webmaster Tools, Google Analytics, blog optimization, free SEO tools, and other useful tips and tricks. Master Search Engine Optimization with this video training course. Learn complex SEO issues in very simple steps. Author Kevin Bates teaches you how to optimize a website for search engines in these super easy video tutorials. 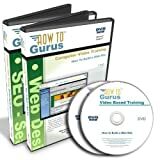 Even though you are a newbie in SEO, this video training DVD is very helpful to you. You don’t need to have any previous SEO knowledge. You’ll be introduced to SEO basics, you learn how search engines like Google, Bing, Yahoo works and what tools you can use for ranking in the search engines. Once you have those basics, you’ll enter technical SEO using sitemaps, redirects, nofollow and dynamic content. You’ll learn important parts of On-page SEO and Off-page SEO. You’ll also learn how to track and test your optimization strategies and measure your success. After this SEO video training is completed, you can freely optimize your sites, find useful keywords and start using paid search marketing to drive more visitors to your website. If you need to learn SEO for online success, buy one of the above must-have SEO tutorials and courses. Your valuable comments about them are most welcome. If you want to excel in SEO through books, read these Best SEO Books.